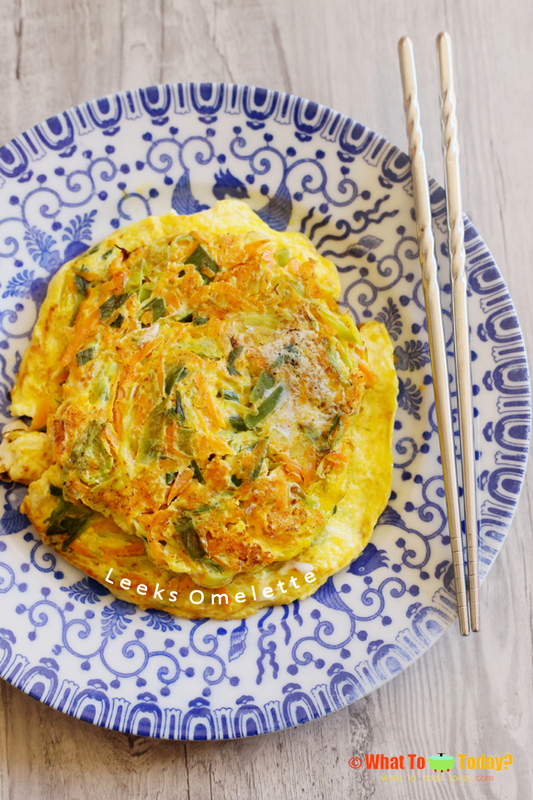 Leeks is one of my favorite vegetables to cook with. 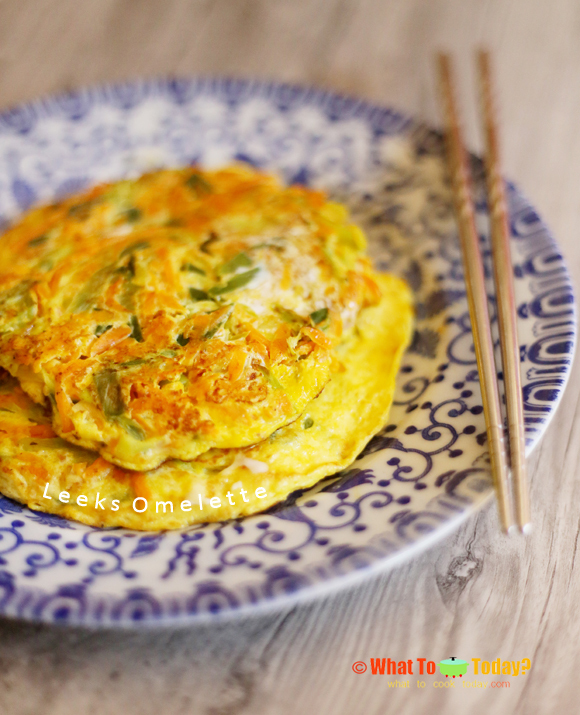 In the same genus with onion and garlic (also my two favorite ingredients to cook with). 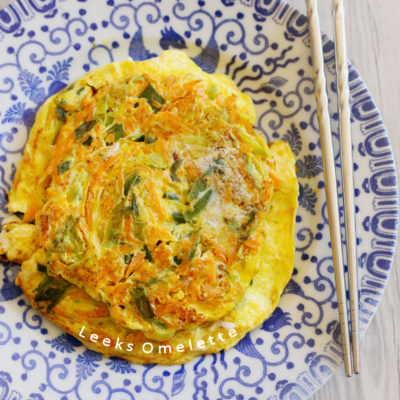 My mom likes to use leeks in stir-fry noodles, stew, and to make egg omelette. It flavors the dish pretty nicely. 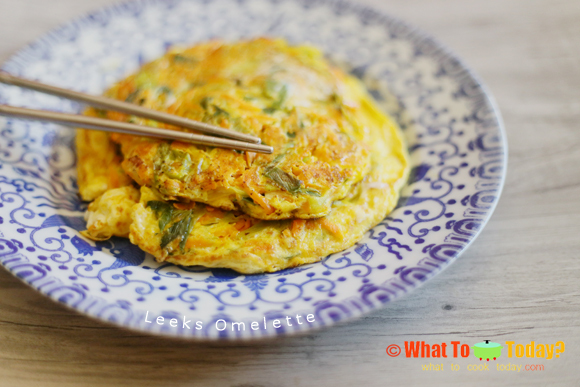 This leeks omelette is pretty easy to make and it is quite a common home-cooked dish at our little hometown in Indonesia. Slice the leeks thinly in a diagonal manner and place them in large pot of water and wash them and let them sit for about 5 minutes. Use your hands to remove the leeks to a large plate (the sand and dirt sink to the bottom)and discard the sandy water. Repeat this for two more times or until the water is no longer sandy. Set aside and peel the carrot and shred it.